Camilla Cabello attends the 26th annual Music Industry Trust Awards held at The Grosvenor House Hotel on November 6, 2017 in London, England. 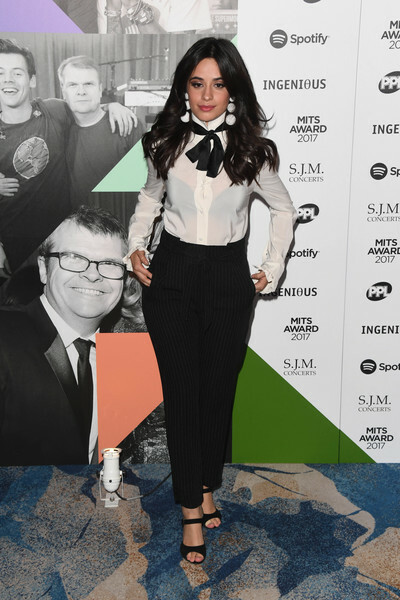 Camila Cabello kept it classic in a Dolce & Gabbana pussybow blouse at the Music Industry Trust Awards. Camila Cabello paired her blouse with black pinstriped trousers, also by Dolce & Gabbana.